Speak to any Malaysians and you’ll find us boasting about our hawker food. We are blessed to be surrounded by a robust melting-pot of cuisines in our daily makan life. Our hawker food list alone is enough to attract foodies to enjoy the various humble dishes that originates from our very own streets in the country. Whether it be a bowl of noodles or a steamed coconut rice, every hawker stall has their own family recipes handed down from generations. 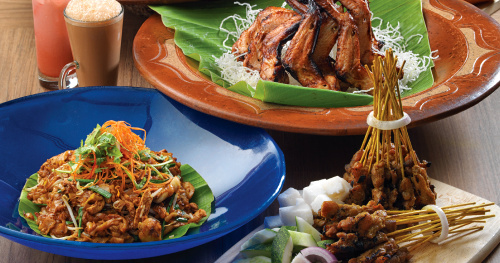 Dorsett Grand Subang is jumping on the bandwagon this month onwards to feature a sumptuous Hawker Fare Buffet, available every Wednesday, at the all-day dining Terazza Brasserie. Part of the themed night buffet dinners, diners can enjoy a list of hawker food stemmed from our very own streets of Malaysia. 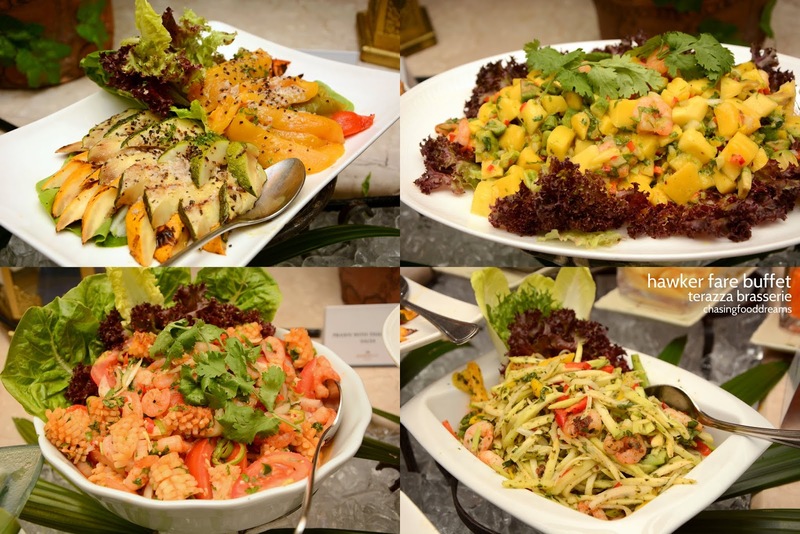 From an amalgamation of our many races of Malay, Chinese and Indian as well as our local ethic groups, one can expect to savor some of the classic dishes of hawker fare set in a modern and comfortable dinning ambiance at Terazza Brasserie. 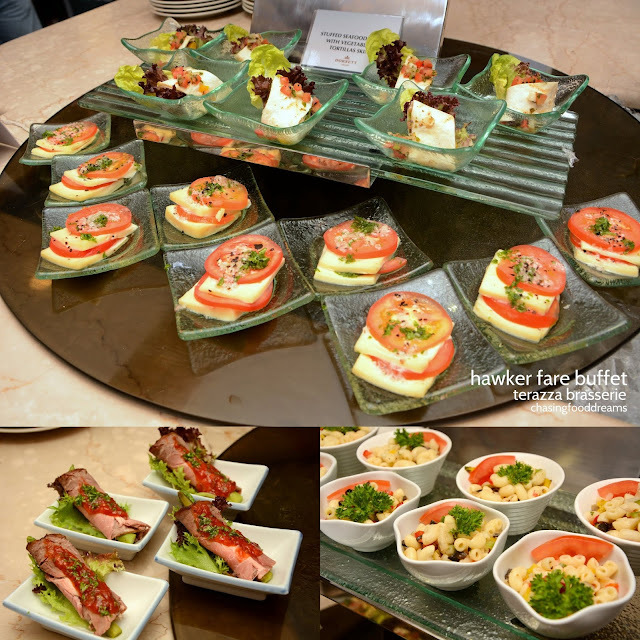 The Hawker Fare Buffet’s limelight are the six al fresco pop-up stalls set to whip up fresh made-to-order hawker dishes. 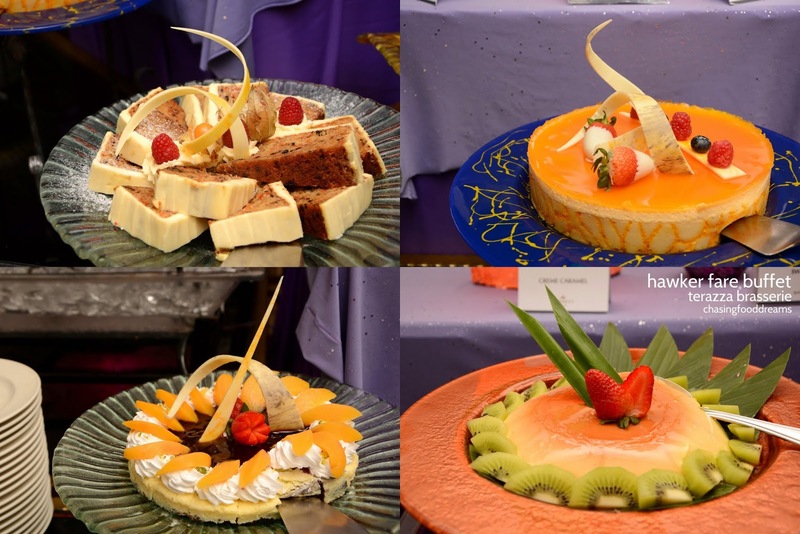 Highlights of these live cooking stations include Satay, Char Kway Teow, BBQ Chicken Wing, Laksa Utara and Teppanyaki. A smoky charred denotes a good breathe of wok and the Char Kway Teow certainly hit all the markings of yummy one. And who can resist skewers of plump and succulent chicken Satay, marinated with spices and herbs before slow grilled over hot coals? I know I can’t for sure! 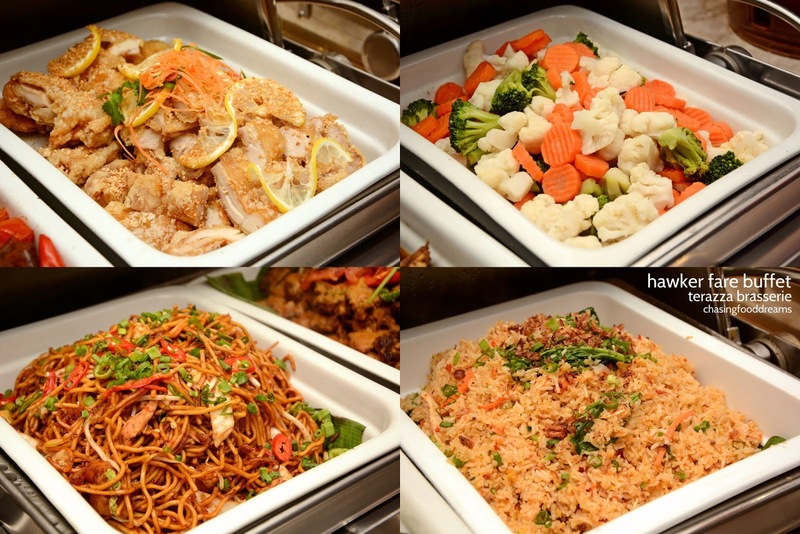 Head for the hot buffet warmers and tuck into Oxtail Soup, Mee Goreng Mamak, Nasi Goreng Kampung, Ayam Goreng Berempah, Assorted Kerabu, Lamb Tandoori with Cucumber Chutney, Lemon Chicken and many more. The Oxtail Soup was redolent of warm spices, making the broth very hearty and comforting. The pieces of oxtail is also tender and well accompanied by soft onions, carrot and potatoes. Grilled Rib Eye Steak with Percik Sauce gets a dose of local touch with the spiced and nutty sauce. 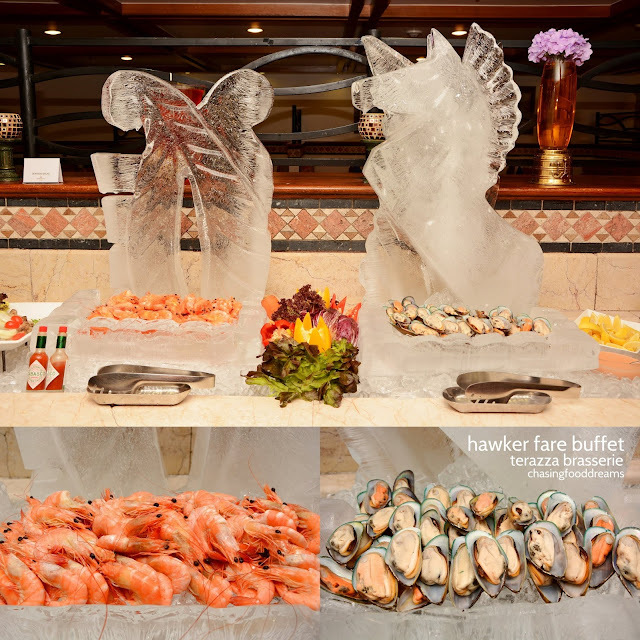 There’s always room for Seafood on Ice, a favorite of chilled prawns and mussels to be savored with lemon wedges, Thousand island sauce or simply on its own. We appreciate the extra effort of the ice carving as it somehow makes this dish extra special. Desserts is a kaleidoscope of colours, flavours and textures. From the classic Chocolate Fountain to Bread & Butter Pudding, assorted Ice Creams to cakes, jellies, puddings, mini tarts and local kuihs, it’s going to be hard to not lose one’s control over sweets! 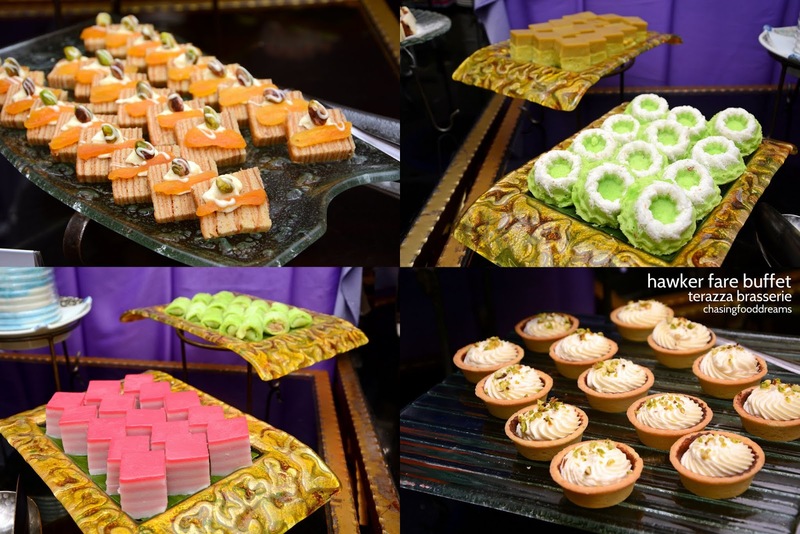 There’s also Indonesian Layer Cake and Bubur Cha Cha too. I ended my meal with a bowl of refreshing Ais Kacang, topped with the works and two scoops of ice cream!